Something occurred to me last night whilst at work. I was getting some comments in on my last post, all of which were very positive and flattering. I was expecting a couple of people to ‘bring me back to reality’ but that hasn’t happened yet. Almost by definition, if you write and EMS blog, you are going to be passionate about the work that you do. You have to be, or else you are just plain mad to put so much time in above and beyond what you ‘have’ to do for your day job. Equally, if you are in the profession already and you choose to read various musings and thoughts from colleagues around the world, then you too have a certain love for the job also. Even those that comment or blog in a negative way, must still have a passion about what they do, otherwise they wouldn’t take the time to put opposing views forward all of the time. One of the major forced behind EMS 2.0 is the use of social networking and new media to join together so many like minded individuals to create a group force for change. However, are we all just preaching to the converted? No matter how much we like to think our movement is gaining momentum (which it definitely is), we will always be a minority in our services. There will always be more people who are not quite as passionate, and are maybe quite happy to come to work, do what they have to, get their pay check and go home without a care in the world. As Ambulance Driver states, it is the views of the idealistic dreaming few that can create change, however, we need to bring the majority along with us. Therefore the question is how we get the message out, in a meaningful way, which will start the change process. How do we reach the EMS staff that don’t read blogs, pick up trade journals, go to EMS Expo, or even want to think more deeply than just dealing with the patient in front of them? Surely that is going to be one of the biggest challenges that we face. « Why I do this job. Maybe publish a printed magazine? One that could be read in break-rooms? It's hard to enthuse someone who can't be bothered to be enthused. Preaching to the converted? Well, yea… probably. Although there's the chance that people might read us for entertainment value. It's why I try to write with a modicum of humor in the hope that it'll help draw in any of the uninitiated.I think that we have drawn in a lot of people, but there's tens of thousands more of the almost initiated, and then hundreds of thousands of the even less initiated.How do we reach them?I like the idea of a printed magazine, more probably like a newsletter. However, there's supposed to be exposure in JEMS on the whole FireEMSblogs network. EMS 2.0 should be a component of that. 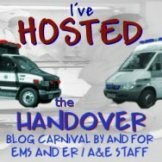 http://ems2.org is supposed to compel a wide range of people from the general public to world leaders to reform EMS. We need the public's support after all it's the general public that needs EMS. You don't for the most part. As in any area of endeavor the majority of people are followers. They will pretty much go with the flow of things. The hard part is to get the people who make pass the laws, make the regulations, and determine protocols to decide to change how EMS is operated in this country.